Last February, I was scheduled to have an MRI for my shoulder in St Luke's when T said I should get something to eat before the procedure. 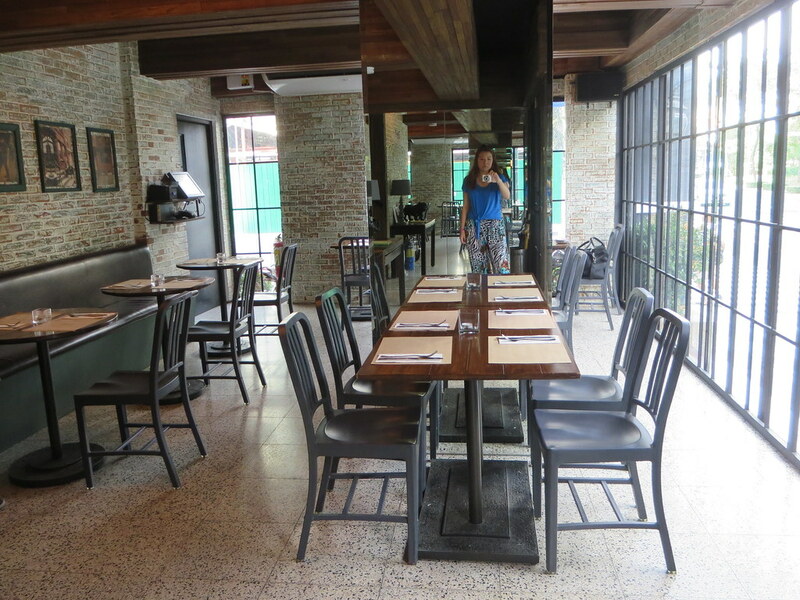 We went to The Bowery in Bonifacio Global City. 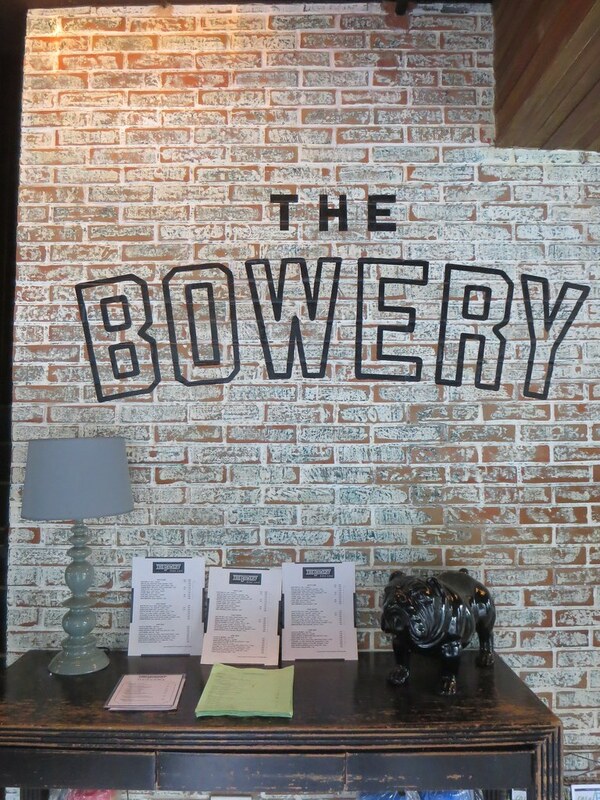 The Bowery is named after a neighborhood in the southern portion of Manhattan, somewhere around the East Village. And true to its name, the restaurant serves New York comfort food. 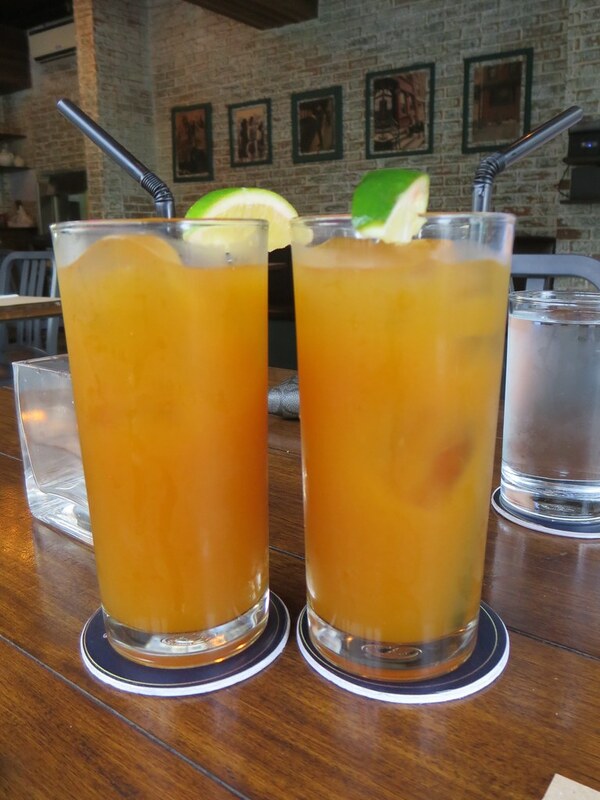 T and I both got Iced Teas which we found different but not in a bad way though. It just has a strong taste, like the drink is alcoholic when it's not. The iced tea also has a bit of fizz, like Sprite or some soda has been added to it. 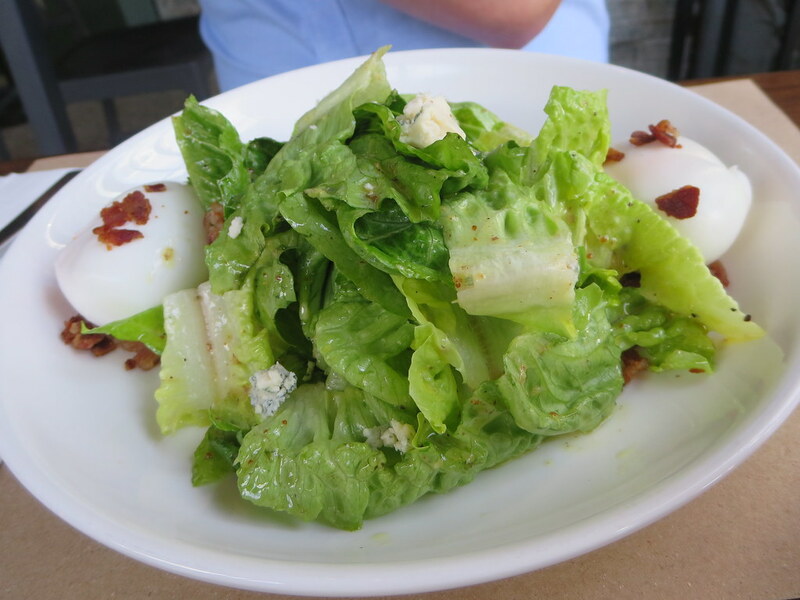 T ordered the Bacon and Egg Salad (PhP290/$6.30+) which is slab bacon, bleu cheese, soft boiled eggs, and crispy smoked bacon mixed with romaine lettuce and topped with mustard vinaigrette. The servings of bacon and egg are very generous. 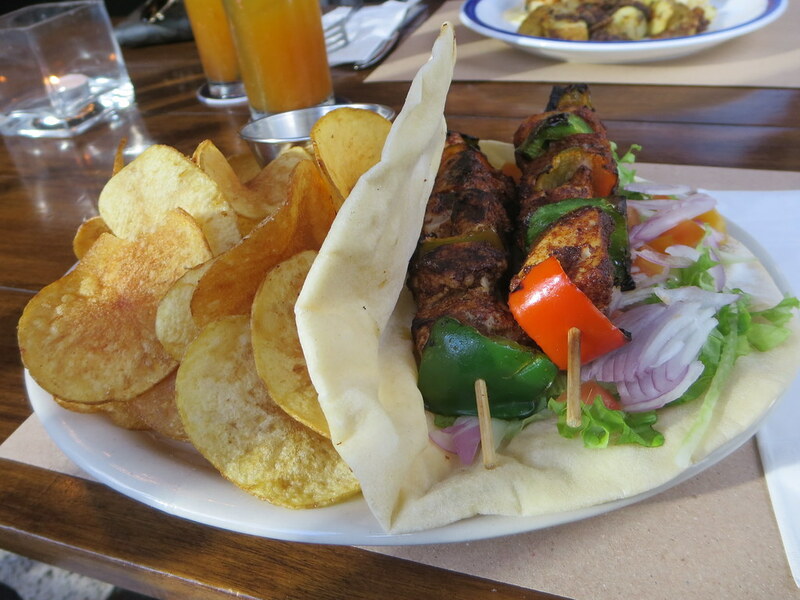 I wanted something light because I wasn't sure if I was even allowed to eat at all so I got the Chicken Kebab Pita (PhP250/$5.35+) which is two sticks of chicken kebab on a bed of lettuce, tomato, cucumber, and comes with pita bread, potato chips, and creamy garlic sauce. Ok, I know. 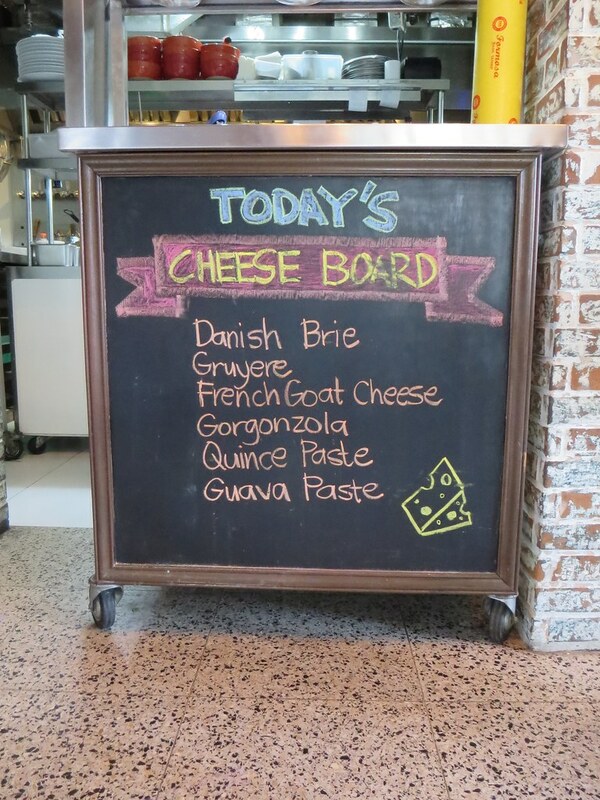 This isn't really 'light' but for me this already is :D The serving is big and could be shared by two. The kebab is really tasty and goes well with the creamy garlic sauce. T and I both like the crispy potato chips served on the side. Very addicting. 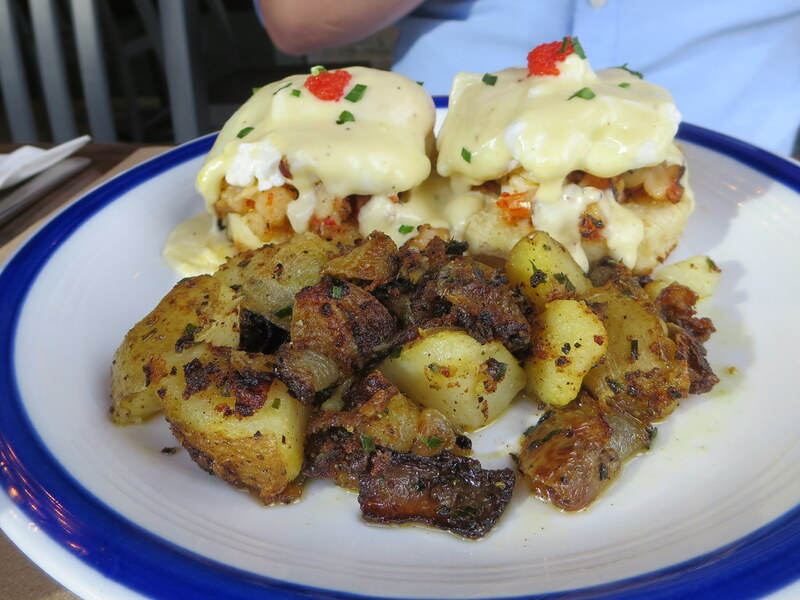 On the other hand, T got an order of Eggs Benedict (PhP360/$7.75+) which is smoked ham and poached eggs on homemade English muffins topped with Hollandaise sauce and served with herbed home fries. T said he likes this dish, especially the homemade English muffins. 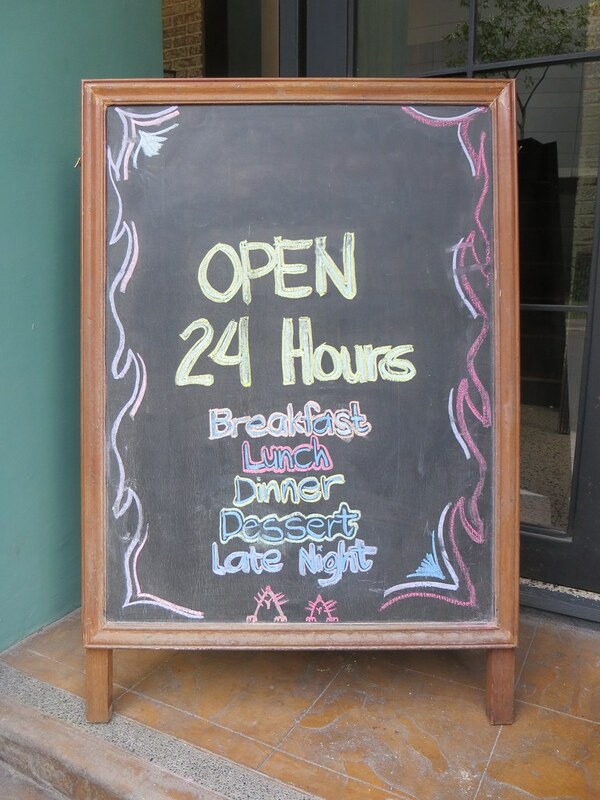 I like the ambiance and the food. T and I will definitely be back!